E-agriculture is a global forum facilitating dialogue and sharing of ideas related to the use of information and communication technologies (ICTs) to better contribute to sustainable agriculture and rural development. The Community is made up of over 12,000 members from 170 countries and territories, members are information and communication specialists, researchers, farmers, students, policy makers, business people, development practitioners, and others, who share a common interest of improving policies and processes around the use of ICTs in support of agriculture and rural development, in order to have a positive impact on rural livelihoods. The CoP’s mission is to serve as a catalyst for institutions and individuals in agriculture and rural development to share knowledge, learn from others, and improve decision making about the vital role of ICTs to empower rural communities, improve rural livelihoods, and build sustainable agriculture and food security. This can only be achieved by working together with global partners. 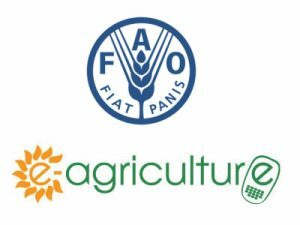 E-Agriculture is all about knowledge exchange between UN agencies, governments, universities, research organizations, NGOs, farmers’ organizations, private sector, and the wider community. Such exchange is about constructive dialogue that is facilitated by e-Agriculture Forum Discussions. Topics are demand-driven, and lead by partner institutions who specialize in different areas of e-agriculture. In collaboration with FAO, APAARI has been contributing to the strengthening of capacity of member countries in good practices in knowledge exchange, information sharing and gender in support of rural livelihoods. Specifically, APAARI’s role is to identify e-agriculture solutions providers in the region to be invited to the E-agriculture Solutions Forum 2017, assist FAO in the preparation of a concept note, agenda and work plan on the development of the E-agriculture Solutions Forum 2017, assist in collecting success stories on ICT in agriculture for joint publication, and facilitate logistics related to the conduct of the above-mentioned activities. 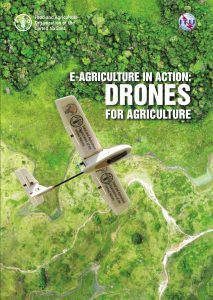 ICTs-driven tools and technologies can be very useful in adapting agriculture to climate change and other challenges for accurate, reliable and timely information One of the latest developments is the increase in the use of small, unmanned aerial vehicles commonly known as drones, for agriculture. They can be used in the analysis of soils and drainage, crop health assessment.